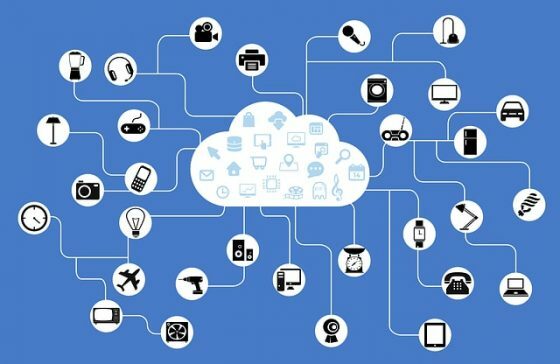 Internet of Things is a network of interconnected digital devices, machines, vehicles etc. These devices exchange data. IoT is being adopted by almost all the sectors. One of the best examples of Internet of Things is smart home. Without human intervention, things in smart home can exchange data and make things easier for resident like opening the doors automatically etc. Who would have thought of a world where people can communicate with things around us? Today, we can have things like chairs, beds, cars and music system connected directly to the internet.This can be done simply by using sensor connected devices to our physical environment. This will soon be high on demand because of its irresistible features such as ultra-low-cost with absolutely zero maintenance cost. Apart from this, it is different from the other emerging technologies having Artificial Intelligence and Machine learning, we need not have the required computer science skills.We don’t have to be an expert to use it. Talking in terms of healthcare, IOT has now reached all verticals one can imagine by developing wearable sensor gadget for monitoring fitness, diet, medication management etc.It has made the lives of physically disabled and senior citizens simpler since they have to live independently. With one tab on the IoT device, we can open our house gates, control the intensity of the light and set them dim, unlock our cars, slide the curtains and the list is endless. This makes up upgrade our standards of living.This could be useful for protecting our houses and lockers from thievery. As we invite the new world having the next era of connectivity, we are talking about the massive loss of jobs over the next 10 years. With all our tasks automated, we are losing the importance of humans intelligence and labor. Security is the major concern when we talk about IoT. An enormous amount of data now needs to be encrypted and protected from the hackers. Also, a time will come when the privacy of people will be highly challenged. In the present world scenario, we require Arduino IoT kit for running any of the sensor based application which is quite expensive in the market. This means the concept of IoT doesn’t support compatibility in terms of USB connectivity. IoT is encouraging the over-reliance of technology, our present generation has grown up with the presence of a worldwide network of the internet where everything is so easily attainable overly dependent on internet and for every decision we now trust the technology more than our cognitive thinking. In this weird world where homo sapiens have found a way of measuring the stress level much before their brains tell them, counting the number of people in the room, turning on to a particular channel on TV, knowing the areas where the plant needs the water accurately can now be done using the Internet of Things. This has been widely spreading leaving its imprints on millions of people. A new era has now entered our lives where a man is a slave of technology which is ironically developed the for making human’s work simpler. Afterwords:- What is your opinion on this topic? Express your thoughts in the comment section below. IOT impact of human lives as well as their around environment.the environment become lazy. Major source of iot is mobile. This is effect of their health. people pull full iday of life put in such thing, their loosing the interaction their around people and they are not participate in social activities. In my opinion due to IoT human being lost his own ability to do work in a fine way…He will totally depend on the device and one day he will find himself directed by IoT…More more workable ppl resting in their home becz they do not have any work to do becz of sensor less modern time…Today we make our self nothing without internet …Even student not studying without taking help from internet…So when we use our supreme mind ?which is more than IoT..Like that way we can comfort ourselves but proceed towards disaster…..
Internet is a great boon of our society and it is very important in our life, even we will not take food one day we can manage but without internet it’s very difficult . Everything is a good side and bad side as a human being we have to decide. Now our life has got easy because of internet connection, we don’t need to go to outlet to pay utility bill or go to bank to check the balance or make any transaction. If somebody family member out of station or abroad for work purpose or study purpose , family member they don’t think because they are able to talk anytime not only through video call they can understand what they are doing and how is he like they are Infront of them. But some of people they have addiction unnecessarily they spent their time ,they are absent minded , student they neglect their study , this is not good.Everything should limit. Science & technology make living easy, comfortable . But human values should not be compromised . Proper awareness is necessary. Well what you are saying is totally true. IoT has revolutionized the way we live.As you said the health care industry has had an immense effect due to inrtoduction of IoT.But it is not limited to healthcare,even fleet management is very much efficient now. According to my information, the IoT is not solution for all.Because of IoT many thing become easy and required less or minimum time to complete the particular task. For developing IoT city there is huge amount wireless connection are required and which is dangerous to human health. It can cause problems from insomnia and headaches to tumors. Hence we should make use of IoT in limited areas and not in day to day life. Ramparsad on Millennial Voters – Can they decide the future of India?